The Jersey Water Works Community Engagement Committee worked with a New Jersey Future intern to compile educational resources on water infrastructure that can be used inside and outside of school. We separated the content by what we thought would be most useful for inside and outside of the classroom. Videos, for example, are in the section for outside of the classroom but could be used to supplement a classroom lesson as well. In addition, there are sets of activities for students across grades, which have been further subdivided into categories: Non-Point Source Solutions; Stormwater; Water Cycle; Water Supply and Wastewater; Watershed; Water Quality; and Miscellaneous. These are video tutorials for students across age groups. Most of the videos are local case studies that educate students about water challenges around them. 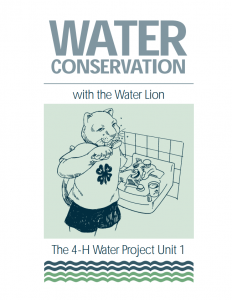 These lessons are arranged in Water Conservation, Water Supply, Watershed and Miscellaneous categories. The lessons not only teach concepts and skills to students, but also provide appropriate background information for teachers. This section consists of worksheets such as crosswords, fill-in-the-blanks, match the words, and Sudoku. The curriculum is organized in the categories of Wastewater, Water Cycle, Water Supply, and Watershed. Check out the classroom resources compiled by DC Water here.